The Torah is a matrix, the Matrix, an infinite web of gateways and passages that define the true reality, and we’re all asleep in an illusionary world of reflected light and shadows. Yes, it sounds like the movie, but the movie wasn’t far from the Truth. Three things are called the Truth, (Emet): The Torah, the 42-Letter Name, and the Tree-of-Life, and they all are the same Truth, the same reality. And none of them are the reality we see when we look around us. Everything on every level of the Torah is true, and there are lessons to be learned on all 70 faces of the Torah. 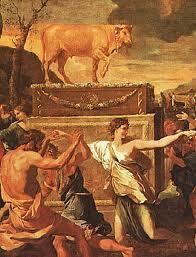 But we strive to look deeper into the Torah in order to link ourselves up with it. It’s only when we’re linked into the Torah that we’re really touching reality. Most of us sense that there’s more out there than meets the eye, but we quickly get drawn back into the malchut, the world of our daily existence. We want to tap into it, get messages in our dreams, explore alternate realities, but our lives get in our way. It’s designed that way. Just like the movie, if we ever woke up, we’d never be able to go back. But the movie didn’t go far enough. Imagine if you had the ability to see people’s souls, feel only their love, and not the hatred and envy that their bodies (shells) are emitting. Imagine if nature spoke to you, nurtured you; if you saw the path of your words and deeds even before you spoke them; if all the right choices were shown to you with every step you took. This is the reality we want to tap into. Not the one we’re in where everything and everyone seems blind and deaf to their options, to the plight of others, where everyone feels like a victim, and where we abuse and deprecate all the abundance lovingly made available to us. It’s not that we’re bad people, or bad at heart; it’s just that we’re asleep and can’t see reality. This is the world of illusion. Back in the 1960’s there was a window opened and people were awakening everywhere, tasting freedom and love, but once that window swung shut and those free love children grew up to be our bankers and hedge fund managers, the planet fell hard. And we’re all paying the price. Perhaps, we peaked too early. 1968 was a very rough year for the planet, for man. It was 1 jubilee year before 2018 (5778). the year prophesied by the tzaddikim for the geula (final redemption), the arrival of Moshiach. And out of that brief enlightenment of the 1960’s came the internet and a free flowing of information and communication. The Internet grew without a plan. It’s growth is exponential and its tentacles are reaching into every pore of society, of our lives, of our existence. What we couldn’t (wouldn’t) do consciously–connect with one another as one soul–the internet is forcing upon us with a mind all its own. For good and for worse. Why is it so successful? Because unencumbered by the illusions of reality, the internet has no perception of limitations. It feeds off the intelligence of man, reads our minds, and exploits our weaknesses and desires. It’s the lower world reflection of the tree-of-life, except that one is built on a desire to share and the other with a desire to receive. It’s a spiritual tenet that everything in the upper world has a dark shadow below, and we’ve tapped into that negative light. 3330 years (66.6 jubilee years) earlier we had another internet given to us. 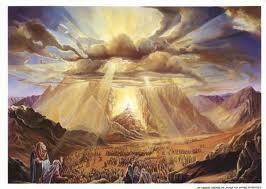 The Torah is and internet more powerful than the one we think we created in the last 50 years. The Torah is our nexus to the tree-of-life. While we not yet capable of seeing into the true reality, the Torah and the Shem Mem-Bet (42-Letter Name) can do it for us. But we have to be willing to give them the chance. The words and letters, and names and numbers are the dial in codes. If we could open our minds, we’d see that a single letter can carry us a trillion miles away to see a trillion wonders, but we’re not there yet. We need to begin by understanding what the letters and words are telling us at the interface of our worlds, before they can transport us. You can’t just say “Beam Me up, Scotty;” someone has to push the button. We’re quickly approaching the day when everyone will have to choose the blue pill or the red one. The majority of the people won’t even realize they had a choice. But if you’re reading this, you probably are in the other category. With every year that passes, the illusion grows stronger, the distractions greater, the freedom of time more illusory. If you’re going to swallow the red pill and chose to seek the tree-of-life do it now. Before long, the chaos of our ever more ordered life and world will become overwhelming. Make the time to study deep into the Torah, and to recite with conviction the Ana B’koach (42-Letter Name) while you trying to achieve some positive action. Let yourself be open to the alternative reality of loving-kindness that’s out there, just waiting for you to dial in. Like the Internet, and like our souls, everything in the Torah is interconnected. When we see and make those connections in our minds, we’re attuning ourselves to the right frequencies that will allow even more connections to happen for us. Eventually, if our actions follow our high thoughts, and we also live our lives accordingly, we’ll be properly tuned to receive the tree-of-life reality, the Truth. There are secrets in every word and letter of the Torah, and especially so in the beginning of a weekly portion. This past week’s, Vayechi, was the last of the Book of Genesis, and yet even the last portion connects to the first. As Jacob, who personifies the tree-of-life, prepares to leave the world, the Torah makes sure we’re anchored to it from beginning to end. As mentioned in a previous blog, “Vayechi Yacov” has the gematria value of 216, an allusion to the sefira of gevura and to the 216 letters of the 72 Names (Triplets) used to split the Sea of Reeds. But the initials of “b‘ertz mizra’im sheva” hint at the Shem Mem-Bet (42-Letter Name of G-d) also used to split the Sea of Reeds. Moreover the three contiguous letters in mizra’im sheva (MZRIM SHBA) also hint at the Shem Mem-Bet (Ana B’koach). And the numerical value of “ehsereh shanah…” meaning “10 years” or a decade, is 930, but herein lies a secret. The kabbalists reveal that Shanah of numerical value 355 is the same as sefira (dimension) so “10 years” is also referring to 10 sefirot (dimensions). But this is only the starting point of our journey in the Torah wisdom encrypted here because 930 corresponds to the 930 years of Adam’s life. Now, we know Adam was to have lived for 1000 years, but gave 70 so that King David would live for 70, and right after the Mem-Bet Shemot sequence in mizra’im sheva (MZRIM SHBA), and located right before the value 930 for the 10 sefirot in “ehsereh shanah…” we have the letter Ayin (A) of value 70. “mizra’im shevA ehsereh shanah…”. It fact it’s smack in the middle of these 4 words, just as David’s life was smack in the middle of the 5778 years from Adam to Moshiach. The mid-point of David’s 70 years of life was 2889 HC. 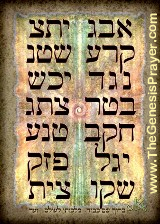 And this central letter Ayin (70) completes the full tree-of-life, which was hinted at by the “10 sefirot” in two ways. First we know from the Zohar and chazal that there are 70 branches on the Tree-of-life, corresponding to the 70 nations of the exile and the 70 family members of Jacob that entered Egypt (b‘ertz mizra’im) to begin the Egyptian exile. And second because 70 + 930 = 1000, or 10 cubed, which represents the full expansion (blossoming) of 10 sefirot in the 3 columns of the tree-of-life. 1000 is also elef (ELP), which is also alef (ELP) and the letter Alef has a composite letter value of 32, as in the 32 paths of the Tree-0f-Life. Yet another link between Jacob and Adam is found through this letter Ayin, which when spelled out (AYN) is 130, as in the 130 years that we know from chazal that Adam shunned Eve, causing much spiritual damage by the spilling of his seed; and that we further know from chazal, that through Jacob’s 130 few and cruel years, he rectified these sins for Adam, and as his descendants, for us. This 130 years was further hinted at in the full verse of 17 words, which goes on to say that Jacob lived 147 years, so 147 – 17 (the numerical value of tov , good) = 130. In other words, Jacob corrected, made good, the 130 years of Adam. That said, if we go back and examine the initials of the first 5 words of the verse, we find that they add up to 358, the numerical value of Mashiach. So we have Yud-Vav, the two masculine (or open channel) components of the Tetragrammaton (YHVH) and Bet-Mem-Shin representing the 42-Letter Name, adding up to Mashiach, and then they are followed by Ayin-Shin, representing the 370 Lights of Arich Anpin, from which as the Arizal explains we draw down the Light during the shofar blowings. Furthermore, the 5 initial letters of “Vayechi Yacov b‘ertz mizra’im sheva …” are VYBMSh, which if we add the letter hey (H) as the kolel for the 5 letters permute to BYH ShMV, which are the 6 special letters that appear at the top of 6 of the 248 Torah columns, meaning “In YH His Name,” another reference to Mashiach, the Messiah. And indeed, the (yud)Y of the 6 letters is found in this very portion, in the Name Yehuda, from whom Mashiach Ben David descends. And incidentally, if you want to follow the infinite matrix links, the Name Yehuda is found 42 times in the Torah. Together the 7 initial letters of the first 7 words of verse 47:28 add up to 358 + 370 = 728, as subtle reference to the Torah’s very first verse, which has 7 words and 28 letters, and which is integrally related to the 42-Letter Name (as explained in depth in The Genesis Prayer). The lessons to learn from these Torah references to Adam and to Creation in the Torah’s first verse, and to the 42-Letter Name that existed before Creation and to Moshiach, is that in order to connect with Moshiach in the end of days, we cannot forget our roots, and we have to keep attuning ourselves to the divinity, the wonder and awe that is the complexity of the Torah, to the real Internet, and thus to the Tree-of-Life reality. Vayechi Yacov means Jacob lived. What we’ve revealed tells us that it means Jacob lived in the Tree-of-Life reality. By tapping into the secrets and connections of this verse and this Torah portion, we can touch the Tree-of-life as well. Jacob did it for us. If we add those 1000 years of Adam to 47:28 we get 5728, 50 years before 5778, 1 jubilee year, 1968 CE. It’s time to give freedom and love a chance again.